A disability advocate says event organisers must to do more to meet the access needs of people with disability, arguing a little thought can go a long way to stop attendees feeling excluded. Ability Fest 2018. Photo credit: Alex Drewniak. 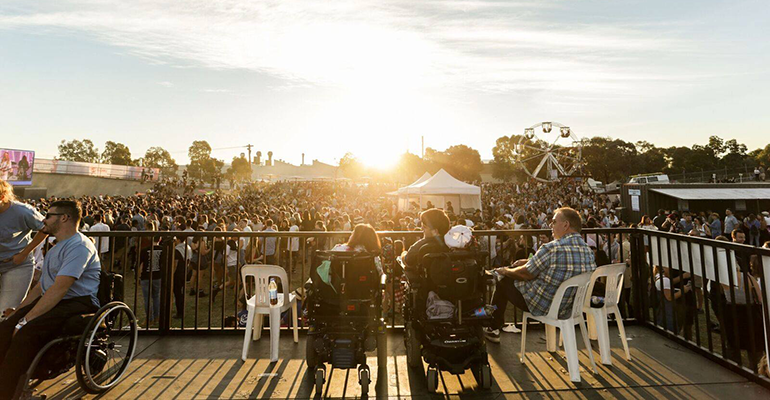 Melissa Benson, a disability advocate and motivational speaker, told Pro Bono News about a recent experience at a Melbourne music festival where there was no wheelchair access. She said it was quite stressful for people with disability to attend a festival and realise they were barriers just to get around. “I had to go through turnstiles at one festival a couple weeks ago. I just think that’s ridiculous,” Benson said. She said event organisers needed to do more to cater to the needs of people with disability, especially when the National Disability Insurance Scheme was supporting people to get out more into the community. Benson added that not a lot of thought needed to go into making things just that little bit easier for everybody. “I think for a long time people with disability have been excluded from ‘enjoying’ some events because of their special requirements,” she said. Benson, who lost her eyesight at 21 and turned to motivational speaking to create awareness of vision loss, will be volunteering this weekend at Ability Fest. This event is organised by The Dylan Alcott Foundation, and aims to use music as a platform to promote disability awareness in an inclusive environment. The Coburg Velodrome will be transformed into a completely accessible venue for the event, with the inclusion of elevated platforms, pathways, quiet zones, companion ticketing, and accessible toilets. Money raised from the event will be used to help young Australians with disability fulfil their potential through the foundation’s grant program. Benson said Ability Fest was setting a standard for every other social and recreational event in the community. She said she was excited to help out with the event, with things like handing out wristbands and water bottles. “I would hasten to say I won’t be giving directions because I’m totally blind, but I would love to do so. Just to be slightly ironic!” she joked. Ability Fest has partnered with online disability support platform Hireup to help recruit up to 50 volunteers from their community to support the festival. Sarah Peddie-McGuirk, the head of community engagement at Hireup, said the organisation saw the opportunity for people with disability to not just attend the festival but to be actively involved in the day. “We know that all people in our community have the capacity to contribute if they’re in an inclusive and accessible environment,” Peddie-McGuirk said. Just thought I would share with you some of the advances that have occurred in Adelaide with regard to events. The recent Adelaide Fringe Festival ran a pilot program this year to work towards future festivals becoming more accessible and inclusive. They hired a Volunteer Coordinator and enlisted the assistance of approx 20-ish (sorry i don’t know the exact number) volunteers who had been vetted to determine their capabilities and relationship to working with people with disabilities. These volunteers were called “Access Champions” and were available for assistance to people with disabilities at numerous events where through purchasing of tickets access requirements for the buyer, had been highlighted. Reports on this project are being produced, surveys from the attendees, volunteers and the venues were circulated and the results of these surveys will be used to improve and enhance future Fringe events and venues. 3-4 years ago, WOMADelaide only provided limited seating for people with disabilities or access and inclusion areas around the park. Over the course of the last few years they have steadily increased these locations and improved their accessibility quite substantially. Also, there was a Grant given to one of the NFP organisations to provide 100 free tickets to people with disabilities and I believe discounted tickets for a family member to come as well. Of course Carer’s were free. City of Adelaide has an Access & Inclusion Advisory Panel that has been tasked with improving the experience in their council area for people with disabilities. 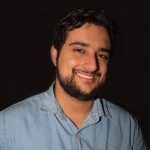 City of Adelaide hosts a large number of events and I believe recommendations from the Panel are taken into consideration and implemented into their Event Briefs. And does Council have a dedicated disability worker and does council employ any people with disability. They “hired a VOLUNTEER COORDINATOR” do they think they were not worth paying and how many on AAP are PWD. To me rather poor show by Council. And “recommendations taken into consideration.